and share with your friends and family! Help us grow the spirit of giving! Today, Senator Ted Kennedy, Jr., Senator Joe Markley, Representative Cathy Abercrombie and Independence Northwests's Executive Director Eileen Healy joined over 40 disability advocates and consumers for a press conference with the CT State Independent Living Council (CT-SILC) and the CT Association of Centers for Independent Living (CACIL) to discuss CT’s Centers for Independent Living. The CT-SILC and CACIL announced that services for people with disabilities will be severely reduced, if the $528,680 in state funding is eliminated. In Governor Malloy’s most recent budget proposal, the line item for Centers for Independent Living is eliminated. If funding is removed, consumers of Centers will be waiting 6 to 12 months to receive assistance and services and during this waiting period, people with disabilities may lose their employment, housing and be placed in costly nursing facilities. In addition, Centers for Independent Living will substantially reduce the cities and towns served. Since 1988, the five Centers have served all the 169 cities and towns of Connecticut. With the proposed funding elimination, Centers will serve only a total of 25 cities and towns (Branford, Bridgeport, Cheshire, Clinton, East Hartford, Essex, Guilford, Groton, Hartford, Killingworth, Madison, Manchester, Middlebury, Naugatuck, New London, Norwich, Old Saybrook, Prospect, Stratford, Trumbull, Waterbury, West Hartford, Westbrook, Wethersfield, and Windham). As partners in the Money Follows the Person demonstration, CT’s Centers for Independent Living transitioned 233 individuals out of nursing facilities, saving the State of Connecticut over $10.3 million in 2015, almost 20 times the annual CILs state funding allocation. You are subscribed to Social Security Medicare Savings Program for Benefits.gov. A link (or links) within the benefit program details has recently been updated, and is now available. 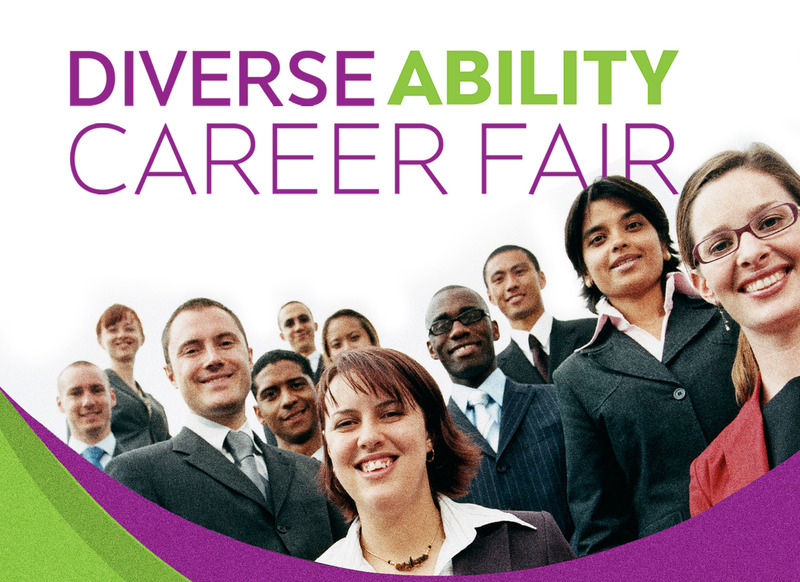 Registration is open for the Diverse Ability Career Fair! Tuesday, May 17, 2016 – 11:00 A.M. – 3:00 P.M.
the Career Fair and much more! technology, and other helpful resources. a small sampling of the coverage received. If you receive Social Security disability benefits (SSI or SSDI) and want to make more money through work, Ticket to Work can provide the support you need! You will receive a registration confirmation message with instructions on how to log in to the webinar. Please be sure to check your spam folder. Registration information will also be available online the day of the webinar. Questions? Email Ticket to Work at or call 1-866-968-7842 (V) or 1-866-833-2967 (TTY). By popular request, we have made more consumer-friendly versions of this flyer, in both English and Spanish, in both pdf and word formats. Both are attached. We expect the last minute termination notices to be received, and the fallout from the actual terminations to occur, beginning this weekend, as Medicaid terminations occur on midnight just before the first of the month, and the notices issued by DSS are mailed out three days or less before the terminations go into effect. While we know for sure these are occurring in Medicaid HUSKY C, they may also still be occurring in HUSKY A and D (though for somewhat different reasons). Thank you for looking out for these cases and making any appropriate referrals. And if you can post these at your facility or waiting room, that would be very helpful. Click the flyer to view more details. PRESS CONFERENCE: ELIMINATION OF STATE FUNDING FOR CILs, Thurs., 4/28, 10 a.m. The proposed elimination will substantially reduce the level of services CILs provide and therefore have a devastating impact on people with disabilities. Show your support for people with disabilities! Attend the press conference and spread the word to colleagues, family and friends. Please read the email below and share voting stories with Gretchen Knauff at P&A. Thanks! So now we have a third budget- the Governor's budget from Monday, we need to talk about moving forward. The main targets for lobbying now are leadership- Speaker Brendan Sharkey, President of the Senate Martin Looney, Majority Leader Joe Aresimowicz and Majority Leader Bob Duff. The Chairs of Appropriations Sen. Beth Bye and Rep. Toni Walker will continue to be involved. At some point these people will be meeting with staff from OPM and the Governor's Office. Though at the moment tensions are very high between leadership and the Governor. In the end the final big decisions are often made with only the top leaders and the Governor in the discussion. So the best way to reach these policy makers are grass"tops" calls to them. Grass"tops" are people who know these people and the leader will take their call even at this crazy time of the year. The other very good way to influence these people is thru their members-Democrats in the House and Senate. So it is really important you have your grassroots call their legislators or any legislator they know personally and ask them to talk to the leaders on your behalf. They need the votes to pass the budget which is going to be very hard given the level of cuts so every Democratic members has power. You need to let them know the impact of the cut they are proposing on the people you serve. The more personal the contact the better- meeting in person, phone calls, written note, personal e-mail and form e-mails- this is the order of effectiveness. Any contact is better than none. I am not an expert but I do believe social media can be effective. Everyone putting up the same message asking for your funding on the Facebook page, Twitter, etc. if you have some one to guide you thru this, definitely use all the tools you have available. A short ( minute or two) video you can e-mail all legislators. I am sure you have creative members that have ideas for advocacy-brainstorm-involve your staff, board, clients, advocates, family, neighbors, etc. in this effort. It is unclear if the Republicans are going to be involved in these negotiations. They have not been included in the regular budget negotiations at the end in a long time but they were included in the talks about the deficit mitigation package. It is very, very rare that the majority party passes a budget with the less than 51% of the votes coming from Democrats even if there are Republican votes. But moderate Democrats in the House have said they would vote with Republicans if there are not enough votes among the Democrats for a budget that does not raise taxes. So your members should call their legislators who are Republicans and ask them to talk to their leaders (Rep. Klarides and Sen. Fasano) about your funding. It does help to have sympathetic press about the people you serve but we have such a short time and so many people are pushing for news coverage it may be hard. But local papers may publish letters to the editor or an Op Ed. If anything is published you should be sure it is sent to all your local legislators with a note. The other problem with influencing the budget at this time is none of the negotiations happen in public. We will get you all, all the information available. Please let me know if you have any questions. Imagine being sequestered in a nursing home from a young age because the resources that would allow you to live integrated into larger society were unavailable. Would you call that a violation of your civil rights? About two hundred activists in wheelchairs lined up yesterday along the bike racks in front of the White House fence, chanting, “our homes, not nursing homes” and “disability rights are human rights.” This is the second year that ADAPT, a group of activists with disabilities, staged a protest including civil disobedience to call attention to what it sees as the Obama administration’s relative inattention to the civil rights of this population. Issue an executive order that acknowledges the inhumane warehousing of people in nursing facilities and other institutions, and implements specific steps to end this practice. Designate Vice President Biden as an “Ambassador for Community Living,” send him on a tour of ten model programs for transitioning people with disabilities into the community, and convene round-tables in ten states to support them in developing effective systems for truly integrating people with disabilities. Issue a statement that the president supports the development of legislation clarifying and strengthening the ADA’s integration mandate. The group later moved to the Department of Justice, where it emphasized the need for attention to the violation of civil and human rights. Action Alert: Submit Testimony to Congress for $200 Million in Additional IL Funding - Your Support Urgently Needed! NCIL is finalizing our written testimony to the House and Senate Labor, Health and Human Services, Education, and Related Agencies (LHHS) Appropriations Subcommittees. In the testimony, we address the critical need for additional funding for Independent Living, and the vital role that CILs play in the lives of people with disabilities. From 2012-2014, CILs provided the four core services to nearly 5 million individuals with disabilities, and provided services such as housing assistance, transportation, personal care attendants, and employment services, to hundreds of thousands more. In that same period CILs moved 13,030 people out of nursing homes and institutions, allowing people with disabilities real choice in where and how they live, work, and participate in the community. Every day, CILs are fighting to ensure that people with disabilities gain and maintain control over our own lives. Congress demonstrated their understanding and support for IL and transition services when WIOA was passed and transition was added as a fifth core service. However, effectively carrying out these services requires additional funding, and the Independent Living Program was flat-funded in FY 2016! With IL being the only federally funded program that is mandated to provide transition services, the need for funding is critical. Moreover, CILs need additional funding to restore the devastating cuts to the Independent Living program, make up for inflation costs, and address the increased demand for independent living services. Right now, the Independent Living Program is receiving over $2.5 million less in funding than we were in 2010. This is simply unacceptable. The value of CILs cannot be overstated. People with disabilities deserve to be the decision-makers in our own lives, and CILs provide that opportunity to millions of individuals. We need to make sure that Congress hears this! The House and Senate LHHS Appropriations Subcommittees are accepting written testimony for the record from the public through April 15, and they need to hear from you!You can find specific instructions for submitting your written testimony for the record on the House(PDF) and Senate (PDF) subcommittee pages. NCIL has also created a sample testimony for your use. You can feel free to change and personalize this as much as you want - just make sure your testimony adheres to the guidance and page limits provided by the Subcommittees! If you have any questions, please contact NCIL’s Policy Analyst Lindsay Baran at . Office of Protection and Advocacy for Persons With Disabilities must now either commit to becoming a private, nonprofit agency or, short of that, come up with a format in which the director and the members of the office's board are not solely appointed by the governor, and the board hires, evaluates, and fires, the executive director. HARTFORD — The office charged with protecting the rights of Connecticut residents with disabilities is severely compromised by its ties to state government and politics and could lose its federal funding if it does not take immediate steps toward independence, a federal audit has concluded. The "entanglement with state responsibilities and state hiring and staffing structures undermines" the agency's ability to meet the federal advocacy mandates, the audit said. "The lack of structural safeguards [against political interference] limits its real and perceived abilities to pursue remedies of rights violations." The vast majority of protection and advocacy offices across the county are private, nonprofit agencies. The report by a branch of the U.S. Department of Health and Human Services also raised concerns about the agency's executive director, Craig Henrici, a former Hamden mayor and state legislator who was appointed by Gov. Dannel P. Malloy in July 2014. Henrici came in after then-Director James McGaughey retired after nearly 30 years. The federal report noted that Henrici was tapped for the job with no input from the disability community. And over the last two years, Henrici has not endeared himself to advocacy groups. "When asked, [advocates] reported that Mr. Henrici has not participated meaningfully in the activities of the [disability] network," the report states. Henrici said Friday in an interview that his focus is directed inward, on the morale and performance of his office, rather than on external advocacy and network building. "I've testified before the legislature [in support of issues important to the disability community]. Have I gone to every ice-cream social? No." But the federal regulators said they weren't talking about attending social events. "As the leader of the P&A, the executive director is expected to implement the goals and priorities of the program and represent the P&A in meetings and public forums with other leaders of the disability community," the report states. The office is charged with advocating for people with intellectual and developmental disabilities, mental illness, physical disabilities and traumatic brain injuries, and those in vocational rehabilitation programs. The agency must now either commit to becoming a private, nonprofit agency or, short of that, come up with a format in which the director and the members of the office's board are not solely appointed by the governor, and the board hires, evaluates, and fires, the executive director. The state took the latter approach in its first draft of a correction action plan submitted last week to the Administration on Intellectual and Developmental Disabilities, part of the U.S. Department of Health and Human Services. Henrici said Friday that a bill specifying the changes will be submitted to the legislature in January 2017. State officials and advocates have known for years that the office was vulnerable to charges of conflict of interest. In 2012, McGaughey, the former director, and other advocates had to rally to defeat a proposal by the Malloy administration to merge the protection and advocacy office with the Commission on Human Rights and Opportunities. In 2013, McGaughey and several board members went to the state Office of Policy and Management with a plan similar to the one the state is now proposing to the feds. But OPM did not support those changes in 2013. Advocates are anxiously waiting to see how the federal authorities respond to the corrective plan. The state would be given time, perhaps a year or more, to make the transition if the plan is approved. The office has proposed to shed most of the duties that don't involve advocating for the rights of disabled clients. For example, the P&A staff for years has sat in on sterilization hearings in probate court, not to represent the appeal rights of the person who might be sterilized, but to make sure the hearing was conducted according to state statutes. From now on, the agency will only advocate for the rights of the individual. The federal government in the late 1970s established funding for a protection and advocacy office, a related disability council, and a university research center in every state and U.S. territory. The office employs 36 state workers, including lawyers, abuse investigators, and caseworkers. It has contracts with legal-aid organizations to represent clients in court. It has a state budget of about $3 million annually, and receives about $1.5 million in federal funds each year. Henrici said in an interview Friday that he does not want the agency to become a private, nonprofit organization. "I feel if we privatize, we'll have less staff and less money to serve people with disabilities. The state gives us $3 million, and we have this building, with heat and air conditioning. If we go private, we go from a service agency to a money-raising agency," Henrici said. A spokesman for Malloy said forming a nonprofit group is among the options. The state is working with federal authorities to "explore potential scenarios, including the possibility of nonprofit status, to determine the best possible outcome for the agency moving forward," said spokesman Chris McClure. Fifty of the 57 federally funded protection and advocacy functions across the country are private nonprofit groups. Connecticut is one of only five states that still have a state agency performing this work. All five are under pressure to convert to an independent structure. "Our experience is that nonprofit P&As are often in a better position to secure additional funding, through government contracts, and legal fees," said Curt Decker, executive director of the National Disability Rights Network. He said fundraising is part of the process, "but the freedom and ability to run the program as you see fit is a worthwhile tradeoff,'' Decker said. Molly Cole is executive director of the Connecticut Council on Developmental Disabilities. The council receives about $700,000 a year in federal money — funding that is part of the grant to the protection and advocacy office. If the office loses its federal funding, the council would, too. The council funds youth-leadership conferences, anti-bullying efforts, employment, housing, and transportation programs and more. Cole said she and other advocates are concerned about the state's response to the federal findings. She said the current format has to change. "It's an impossible task" for the office to perform its state duties while remaining independent and nimble enough to sue the state over civil- and disability-rights issues, Cole said. "What they are asked to do in state statutes is in direct conflict with their federal mandates," she said. See below for two upcoming opportunities from the U.S. Department of Transportation, including a public meeting on automated vehicles and a funding opportunity to connect patients with public transportation options through partnerships with service providers. Would automotive technology such as a driverless car help you lead a more independent life? On April 8th, the National Highway Traffic Safety Administration (NHTSA) is hosting a public meeting to seek input on guidelines for the usage and operation of automated vehicles (AV). In particular, NHTSA seeks public feedback on roadway scenarios and environments highly automated vehicles might face. This information will help ensure that the design and evaluation of AV safety systems are appropriate for actual, real-world use. At the meeting, NHTSA will also gather public input on alternative approaches to safety in AV technology. The live webcast will begin at 9am. Click here for more information or to add your comments directly to the meeting docket. The U.S. Department of Transportation's Federal Transit Administration (FTA) has released a Notice of Funding Opportunity for their Rides to Wellness Demonstration and Innovative Coordinated Access and Mobility Grants. The $5.3 million in competitive grant funds will help build partnerships between health, transportation, and other service providers to develop strategies that connect patients with public transportation options. The grants will focus on communities demonstrating mobility management, technological solutions, and effective partnerships. Grant applicants must include participating groups with stakeholders from the transportation, healthcare and human service sectors. FTA will be hosting a webinar on Wed., April 20 at 3:30pm ET to answer questions about the funding opportunity. The Governor has proposed elimination of state funding for CT's Centers for Independent Living (CILs) beginning in July 2016. It is imperative that everyone continue to make calls and send emails to state legislators and to ask them to ask the Appropriations Committee NOT to cut funding to Centers for Independent Living. The word is that the FY 2017 Appropriations budget is coming out on Wed., April 6th. Please call or email TODAY. Don’t delay. The American Association on Health and Disability (AAHD) awards a scholarship every year to an undergraduate or graduate student with a disability majoring in public health, disability studies, health promotion or a field related to disability and health. Scholarships are limited to under $1,000. Application deadline is November 15, 2016. For more information visit the AAHD Scholarship Program page. For more education and financial aid information visit Disability.gov's Guide to Student Financial Aid. The U.S. Equal Employment Opportunity Commission has charged Grisham Farm Products, Inc. of Mountain Grove, MO with disability discrimination. The company allegedly violated the Americans with Disabilities Act (ADA) by requiring all job applicants to fill out a medical history before they would be considered for employment. The suit also claimed that the medical form does not comply with theGenetic Information Nondiscrimination Act, which prohibits employers from requesting genetic information, including medical histories. For more information about the ADA and your rights on the job visit Disability.gov's Guide to Disability Rights Laws. The U.S. Department of Labor’s Office of Disability Employment Policy (ODEP) has launched “TalentWorks,” a free tool that helps employers and human resources professionals ensure that online job applications and other recruitment tools are accessible for jobseekers with disabilities. Created by ODEP’s Partnership on Employment & Accessible Technology, "TalentWorks" offers employers tip sheets on making online job applications, digital interviews, pre-employment tests and resume upload programs accessible. Top accessibility issues include websites with complex navigation, timeout restrictions, a lack of video captioning, and applications that can't be navigated with keystrokes and required using a mouse. For more information about accessible technology check out Disability.gov's Guide to Assistive and Accessible Technologies. Attend a meeting to give your input into the 2017-2019 State Plan for Independent Living. Let us know your ideas and thoughts on the independent living needs for people with disabilities and the use of federal independent living funds. Details are attached. Please pass on and invite a friend to attend! Internal Revenue Service (IRS) Publication 907 has information that people with disabilities can use to prepare their 2015 tax returns. You'll find information about itemized deductions for medical expenses, the Earned Income Credit and the new ABLE Accountsthat can be used to pay for certain disability-related expenses. Getfree help with your tax return at a Volunteer Income Tax Assistance (VITA) or Tax Counseling for the Elderly (TCE) site near you. For more information, call 1-800-906-9887 (VITA) or 1-888-227-7669(TCE). Looking for information on other topics like housing, benefits or transportation? Check out Disability.gov’s Guides to Information & Resources. The U.S. Department of Justice has reached a settlement agreement with the Arlington-Mansfield Area YMCA near Dallas and Ft. Worth, TX to resolve allegations that it violated the Americans with Disabilities Act. The YMCA refused to allow a child to attend its summer camp because he has diabetes. The YMCA wouldn't provide daily insulin injections to the child, which meant he couldn't attend the camp. Visit Disability.gov for more information about the Americans with Disabilities Act. Camp Hill, Pa. (February 18, 2016) - Rite Aid announced today the nationwide availability of talking prescription devices to assist customers with visual impairments. The device will be provided at no cost to customers who are blind or who are visually impaired. "It's important that all of our customers, including those who are blind or visually impaired, are able to access and understand information on their prescriptions," said Jocelyn Konrad, Rite Aid executive vice president of pharmacy. "By offering these devices, we're helping customers who have difficulty or who are unable to read a standard prescription label understand and safely take their medications as prescribed by their physician." "The American Council of the Blind and the California Council of the Blind congratulate Rite Aid on taking this step to better serve the needs of its blind and visually impaired customers," said Kim Charlson, American Council of the Blind president. "This action clearly illustrates their motto, 'With Us, It's Personal,' and we are proud to have collaborated with Rite Aid to bring this valuable resource to their customers." Independent Living Centers in Connecticut cut in Governor Mallory's budget. We need you help! Please contact your legislator by phone or email and urge them to restore funding for Connecticut's Independent Living Centers. In a groundbreaking opinion issued yesterday, the U.S. Department of Labor found that a sheltered workshop in Ohio had violated federal minimum wage laws by underpaying three of its workers with disabilities, including one autistic man. The opinion followed a petition that Autistic Self Advocacy Network filed along with Disability Rights Ohio, the National Federation of the Blind, and the Baltimore law firm of Brown, Goldstein & Levy, LLP. Seneca Re-Ad, a sheltered workshop run by the Seneca County Board of Developmental Disabilities, had been paying the complainants, Joe Magers, Pam Steward, and Mark Felton, an average of $2.50 an hour for more than three years. An outdated exception to federal minimum wage laws, known as Section 14(c) of the Fair Labor Standards Act, allows certain employers to pay less than minimum wage to people with disabilities if they can show that the disabilities prevent them from being as “productive” as the average nondisabled worker. An administrative law judge for the Department of Labor found that Felton, Magers, and Steward, and Felton were entitled to back pay to make up the difference between their past wages and minimum wage, and to minimum wage going forward. About the Autistic Self Advocacy Network: The Autistic Self Advocacy Network (ASAN) is a national, private, nonprofit organization, run by and for individuals on the autism spectrum. ASAN provides public education and promotes public policies that benefit autistic individuals and others with developmental or other disabilities. Its advocacy activities include combating stigma, discrimination, and violence against autistic people and others with disabilities; promoting access to employment, health care and long-term supports in integrated community settings; and educating the public about the access needs of autistic people. ASAN takes a strong interest in cases that affect the rights of autistic individuals to participate fully in community life and enjoy the same rights as others without disabilities. About Disability Rights Ohio: Disability Rights Ohio is the federally and state designated Protection and Advocacy System and Client Assistance Program for the state of Ohio. The mission of Disability Rights Ohio is to advocate for the human, civil and legal rights of people with disabilities in Ohio. Disability Rights Ohio provides legal advocacy and rights protection to a wide range of people with disabilities. About the National Federation of the Blind: The National Federation of the Blind knows that blindness is not the characteristic that defines you or your future. Every day we raise the expectations of blind people, because low expectations create obstacles between blind people and our dreams. You can live the life you want; blindness is not what holds you back. The U.S. 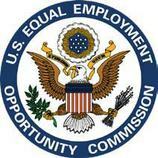 Equal Employment Opportunity Commission (EEOC) has settled a disability discrimination suit with NHC Healthcare/Clinton, LLC of Clinton, SC. The nursing center allegedly violated the Americans with Disabilities Act by refusing to provide medical leave as a reasonable accommodation for a pregnant employee with paroxysmal supraventricular tachycardia. The EEOC said the company then fired the employee because of her disability and pregnancy. For more employment-related resources, including information about your rights on the job, check out Disability.gov's Employment Guide. Passengers who are deaf or hard of hearing will soon be able to use closed captioning on videos and other in-flight entertainment on some airlines. The National Association of the Deaf and Gogo LLC have reached an agreement to make closed captioning available for all programming streamed through Gogo's in-flight entertainment service, Gogo Vision. The service will be available by June 30, 2017 on airlines that offer Gogo Vision services. For information about other types of accessible technologies visit Disability.gov's Guide to Assistive and Accessible Technologies.